what is the Charlotte Venture Challenge (CVC)? he 2019 Charlotte Venture Challenge will kick off with our Student Pitch Competition. Eight student teams, selected at our campus Idea Pitch in March, will compete in two categories, University Change Makers and Business, for a $1000 top prize. 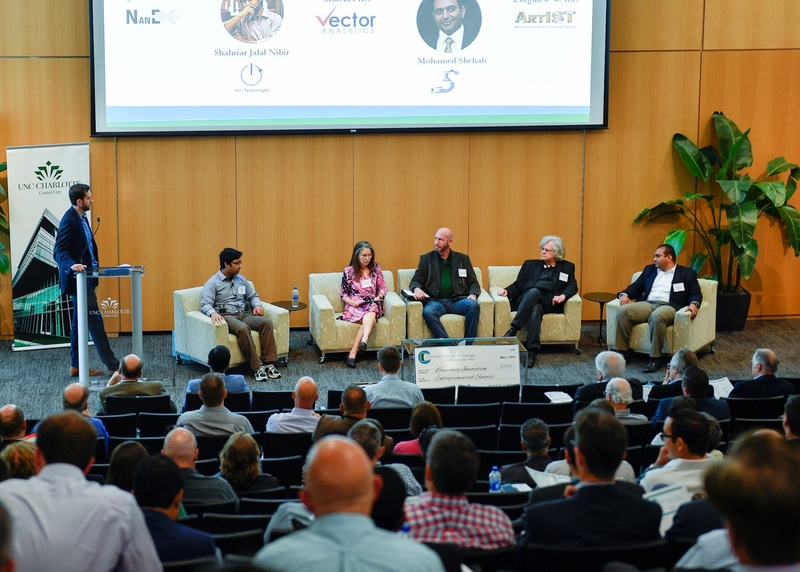 The Ventureprise Launch 2.0 Awardees were selected this week and will be participating in a panel moderated by NC IDEA FOUNDATION Senior Director John Austin. Ventureprise Launch 2.0 has been created to provide our program alumni the opportunity to participate in a summer labs program focused on business model development. The participants of the summer labs program will receive a $2,000 award, mentorship and programming to position their business for success. The Spring 2019 semester brought 12 university teams through our Ventureprise Launch NSF I-Corps program, marking 100 teams that have completed the customer discovery program. The I-Corps panel will include two student teams presenting lessons learned while participating in the program and three UNC Charlotte professors discussing the I-Corps impact on campus research and student entrepreneurship. Register Here by Friday, April 27th. Hors d'oeuvres and drinks will be provided at reception. 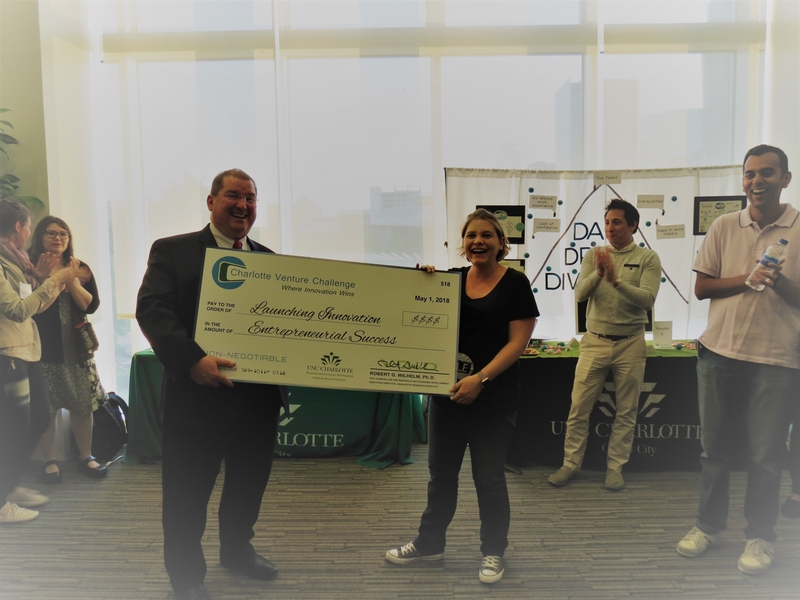 The Charlotte Venture Challenge was held May 1st at the UNC Charlotte Center City building featuring 13 innovative startup finalists. 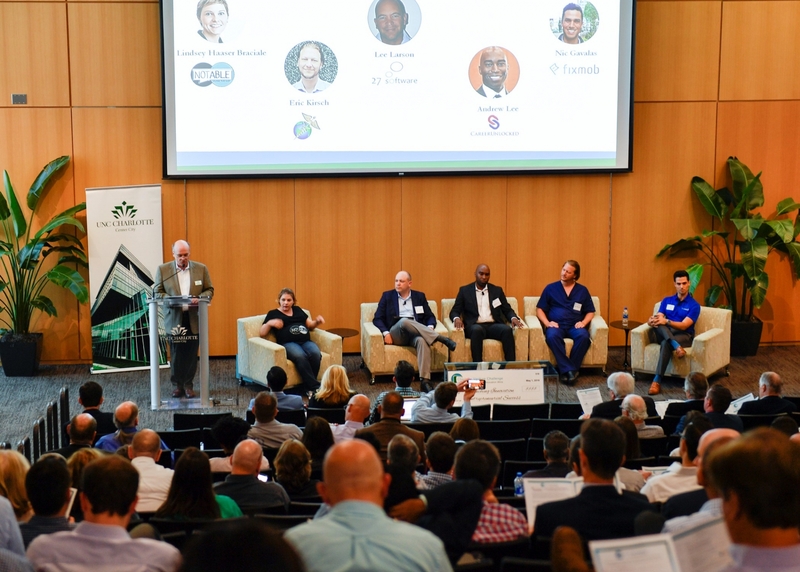 These emerging companies were introduced to over 150 attendees including investors, corporate executives and members of the Charlotte metro business community. With a focus on customer discovery and startup fundamentals, a new, interactive event format was introduced this year. 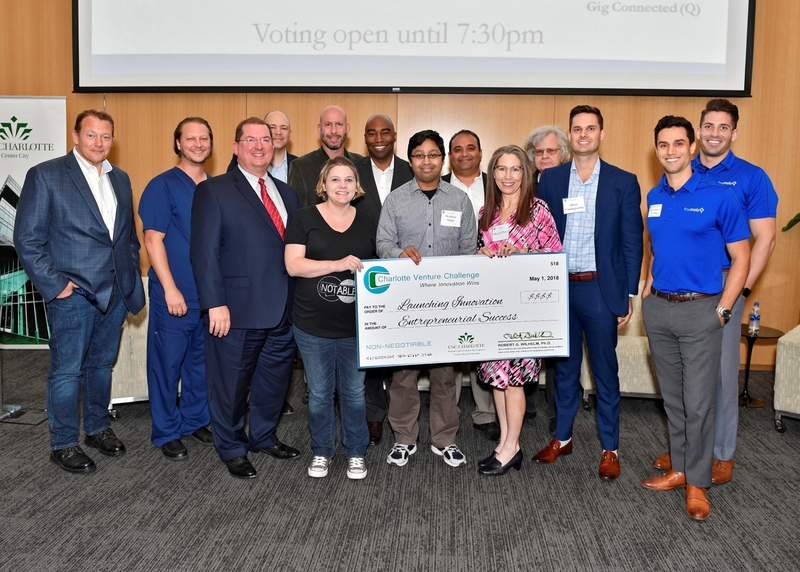 The Charlotte Venture Challenge featured finalist panel discussions and three categories; Student, University Research and Innovation, and Community Entrepreneurship and over $20,000 was awarded to category winners. The judging panel consisted of three active and influential members in the Charlotte entrepreneurial community; Greg Brown, Owner & President of Cardinal Finance and Administrator of Charlotte Angel Fund, Lori Collins, Strategic Advisor, Collins Climate Consulting and Member of Charlotte Angel Fund, and Khalia Braswell, CEO of INTech Foundation, a UNC Charlotte graduate and participant in Ventureprise programs including 49er Foundry and CVC. After each team was scored on their innovation’s measurable impact, opportunity, competitive advantage and overall presentation, UNC Charlotte junior Treven Stoddard, Genubot, was announced as the winner and presented with the $1,000 J. Chris Murphy Award. Guap, LLC and Tijarah were each awarded $500 as finalists. The May 1 event featured Thom Ruhe, President and CEO of NC IDEA FOUNDATION, as keynote speaker, with his address focusing on the plan for NC IDEA to develop a continuum of entrepreneurial support to early stage ventures. NC IDEA will work with partners around the state, including Venturprise, to experiment with programs to see what works for each area. Thom led a panel discussion with three former NC IDEA Seed Grant winners: Lisa Ganderson, The Wed Clique, Ivan Howitt, InfoSense, Inc., and Rob Cummings, Deal Cloud, Inc., that highlighted their experiences in the Charlotte entrepreneurial scene including funding, resources and lessons learned. Each of the University Research and Innovation teams and Community Entrepreneurship companies were awarded $2000 to continue their customer discovery efforts. “The awardees have all demonstrated early product market fit and the funds are to further explore business models,” Collins stated as he brought all the companies to the stage. Notable (Lindsey Haaser Braciale) was voted the People’s Choice Innovator winner by Charlotte Venture Challenge attendees that visited with the 17 showcasing companies during the receptions following the program. The competition has a history of producing and showcasing some of the Southeast’s most successful early-stage companies. In the last three years, over 300 start-up companies entered the competition for the opportunity to present to potential investors, first customers, and the chance to win over $150,000 in cash prizes. During the final rounds of competition, the finalists present to Angel and Venture Capital Investors and large potential customers (Fortune 500 Corps).